It has been a big year for cannabis. Getting it legal in Colorado was huge. No longer will American stoners have to go to socialist, bad teeth, backward Europe ha ha. A new Amsterdam to replace the once trail blazing city. 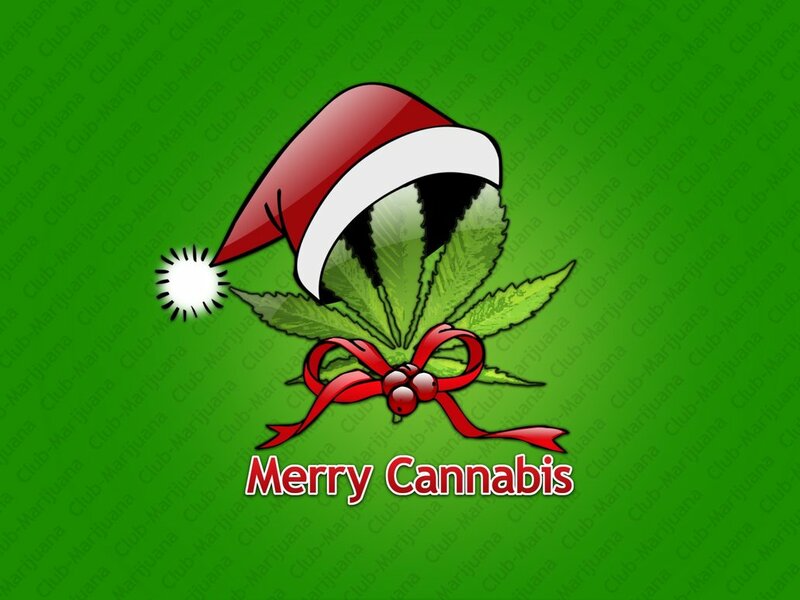 This year has seen science research bubbling out of the internet extolling the benefits of pot. Those powerful cannabinoids complement psychoactive THC to realign our nervous and cell systems to promote health. On the political front, even a pot loving president has to go slow. Federal funding for medical marijuana raids has been cut off and society is perhaps a little happier. 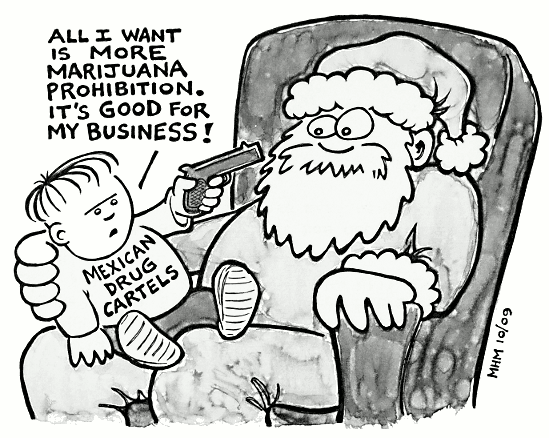 The prohibitionists have not run away though, they are licking their wounds and plotting a comeback. Prohibition of cannabis is good for legal drug companies. As is always the case, drug dealers don’t like other drug dealers coming in on their turf! Cannabis has won the argument however. It won by proving the medical benefit of the plant. It won by not having a single death attributed to pot and it won by continuing to tell the truth even though those in power didn’t want to hear it. Cannabis won. People may still be unjustly put in jail and big business will seek to enter and profit from the herb but our hippie ancestors would smile at the thought, that we stuck it to the man! Society, through pollution, war and poverty is killing the only known inhabitable planet. We strayed about as far from Mother Nature as it was possible to go. Hopefully now, with the new cannabis spring that has sprung, we will move back into sync with nature. You don’t need a new car or phone or whatever each year. We don’t have to be a parasite on the earth, we can possibly enrich the place instead. 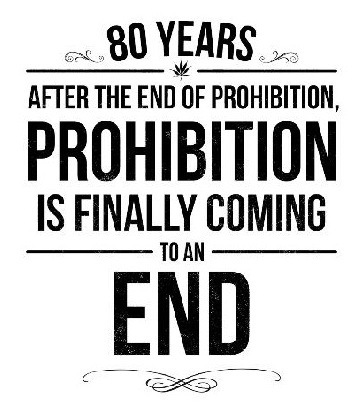 Cannabis legalization is at least a beginning. Share some with a friend because Bob Marley said everything is going to be all right. Merry christmas, enjoy the madness that is close proximity to family and be ever thankful for all of life’s blessings.